Wearing an ornate lehenga by Dolly J, Bipasha attended her sister’s wedding in Mumbai. 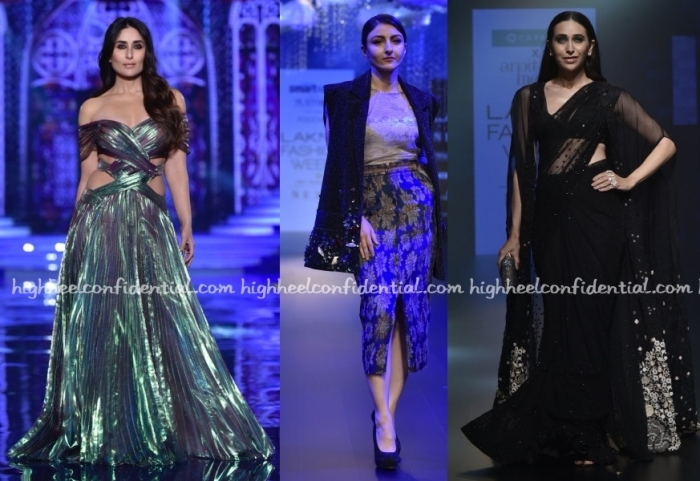 With flowers in her hair, she rounded out the look with jewelry from Falguni Mehta. Update: Post was edited to correct ‘friend’s wedding’ to ‘sister’s wedding’. For Bipasha, it was a Rocky S, but between the color and sequin detailing, I was getting a strong Sabyasachi vibe from the outfit. Almost like if the latter decided to make gowns using his signature color and sequin style, this would be it. It ain’t Lakme Fashion Week if you don’t have a bevy of showstoppers from the cinematic world. Below is a look at all of them who walked the runway. 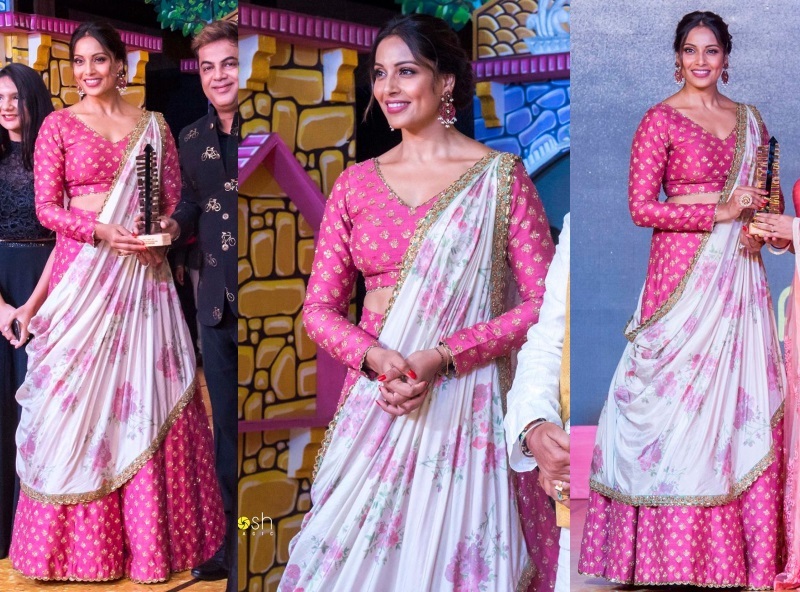 Bipasha was the celebrity guest at a pageant recently and was seen wearing a SVA lehenga with ruby earrings. I am not quite a fan of the way she wore the dupatta but that’s just my taste. Like how she wore it?